West Pelham Antiques Pelham, Mass. 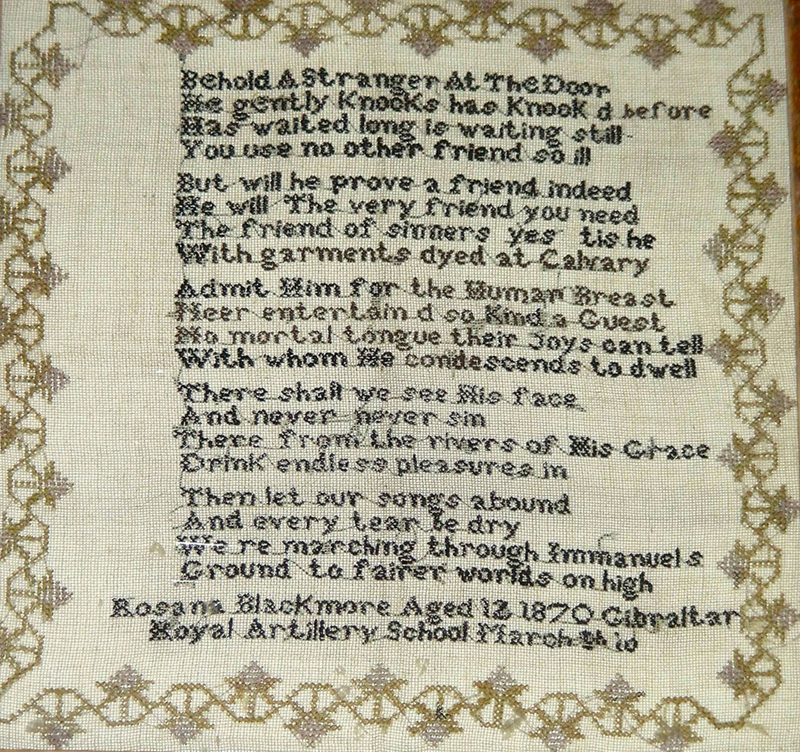 413-253-1847 westpelhamantiques@gmail.com www.westpelhamantiques.rubylane.com Rosana Blackmore’s needlework sampler, dated March 10, 1870, when she was 10, Royal Artillery School, Gibraltar. Long verse is by Joseph Grigg, "Four Hymns on Divine Subjects", 1765, set to music by Henry K. Oliver in 1832. Sight size is 10¼ by 10½ inches; frame size, 11½ by 11¾ inches. The letters are stitched in black, border stitched in tannish-gold silk thread. A most unusual piece.